White EVO showing up early at Best Buy | Android Blast! 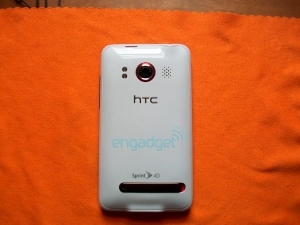 The white HTC Evo 4G is already showing up at some Best Buy stores. The white EVO is a Best Buy exclusive and is supposed to launch on July 11, but some lucky customers have gotten their hands on the device early. Best Buy seems to be giving these units to those who pre-ordered, so if you're one of those people who pre-ordered, you might want to visit your local Best Buy store to see if your phone is available now. engadget has an unboxing, and it's interesting to note that the front of the device is black. Couldn't they just sell white battery covers?